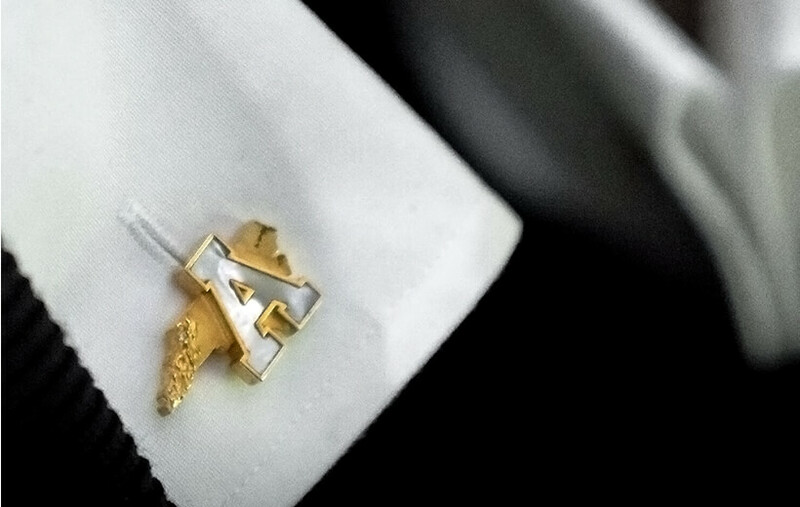 Each piece in The Appalachian State Collection includes a Mountaineers Emblem hard-carved and inlaid with Onyx and Mother of Pearl inset in gold. A versatile collection, it can be worn on or off campus, dressed up or dressed down. Offered in a range of sizes and styles that give the wearer a range to select: from subtle to bold. For pieces without a logo, we suggest The Complementary Collections.